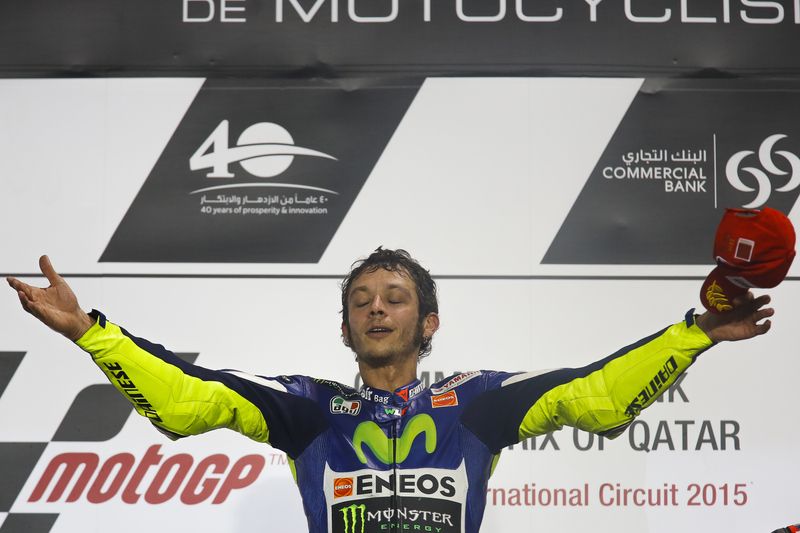 Nine-time World Champion Valentino Rossi claimed the first win of the 2015 MotoGP™ season in Qatar, after an awesome battle with Dovizioso. 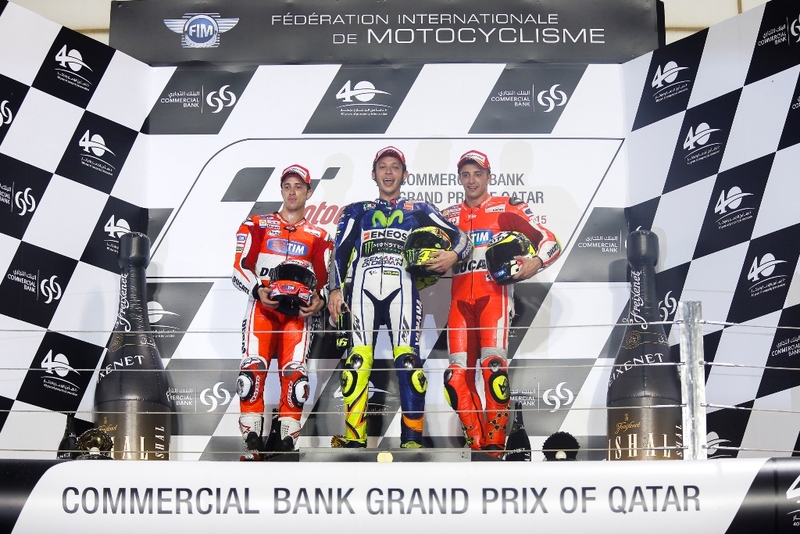 Movistar Yamaha’s Rossi came out on top against the resurgent Ducati GP15’s of Dovizioso (2nd +0.174s) and Iannone (3rd +2.250s). Jorge Lorenzo was in 4th (+2.707s), with Marc Marquez (+7.036s) recovering to an incredible fifth position after running wide at turn 1 on the first lap, and having to work his way back through the field from last place. Marquez’s Repsol Honda teammate Pedrosa finished in 6th (+10.755s), with Cal Crutchlow (+12.384s) the leading satellite bike on his CWM LCR Honda in 7th. Hector Barbera (Avintia Racing +33.625s) finished as the top Open class rider in 15th. 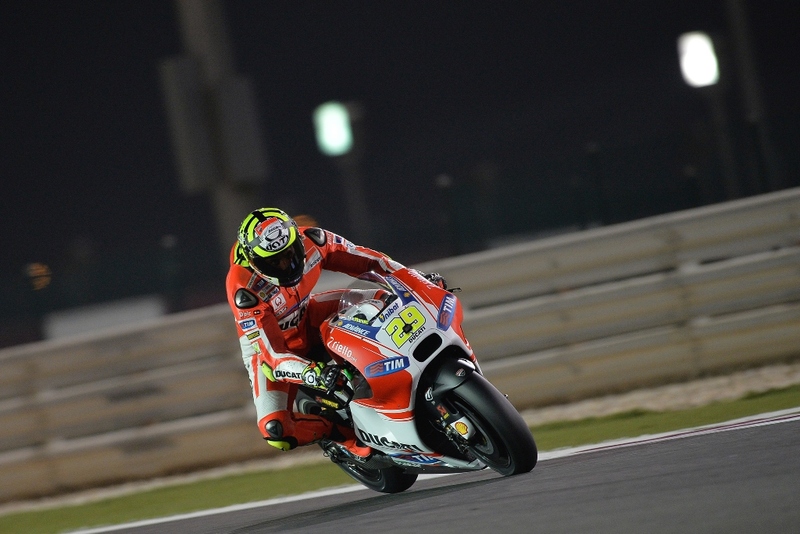 Is this just a once off for the experienced Rossi? Or can he repeat the results in the next race? Only time will tell. As for Marquez, although he made a mistake, he could only match the time of the front runners and not blitz them as he has done so many times in the past. This could make for a very interesting season indeed.